Being a small business ourselves, theres nothing we love more than helping other small businesses help to achieve their ambitions. Just such a project came our way recently when we began working with the team at WS Holmes. 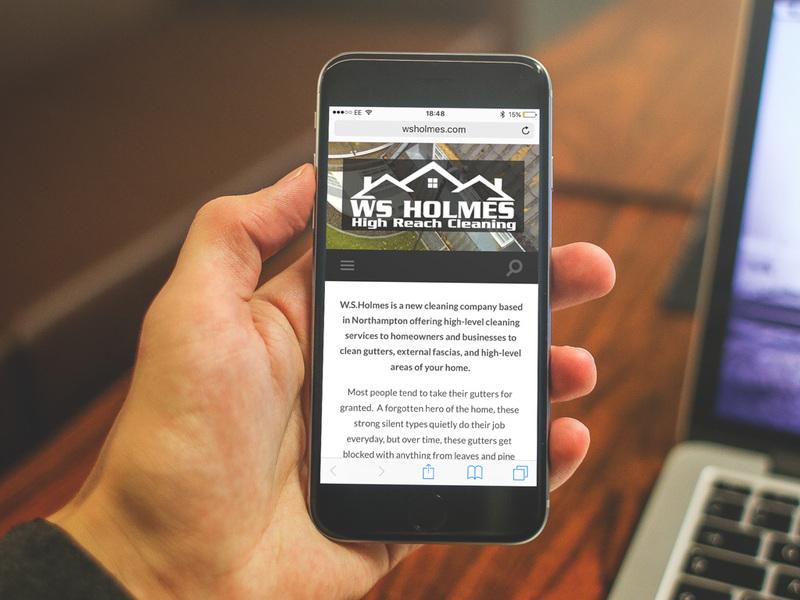 WS Holmes are a new specialist cleaning company in Northampton who offer gutter cleaning and other specialist cleaning services. 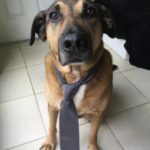 Business Director Wayne was looking for a couple of very important items for a small business – a website to advertise his services and some cards to hand out to new and potential clients. When it comes to building websites, we specialise in working with WordPress – a really popular and very easy to use content management system that offers users on a budget a way of creating great looking websites with all kinds of functionality built in, for a fraction of a bespoke site being built from the ground up. Working with Wayne we were able to very quickly put together a simple site that looked great on mobile devices as well as laptops and desktops (all of our wordpress sites are mobile responsive as standard, at no extra cost). Wayne was very happy with the results and was even happier to find out how easy the website was to update and manage when we delivered his free training. Making sure that users are comfortable with their new website is a crucial part of the whole process for us, one of the things we really wanted to do when we set out on this journey was to help empower businesses to begin taking control of their online activity and we would be failing in that if we delivered a website that was complete impossible to manage and update. 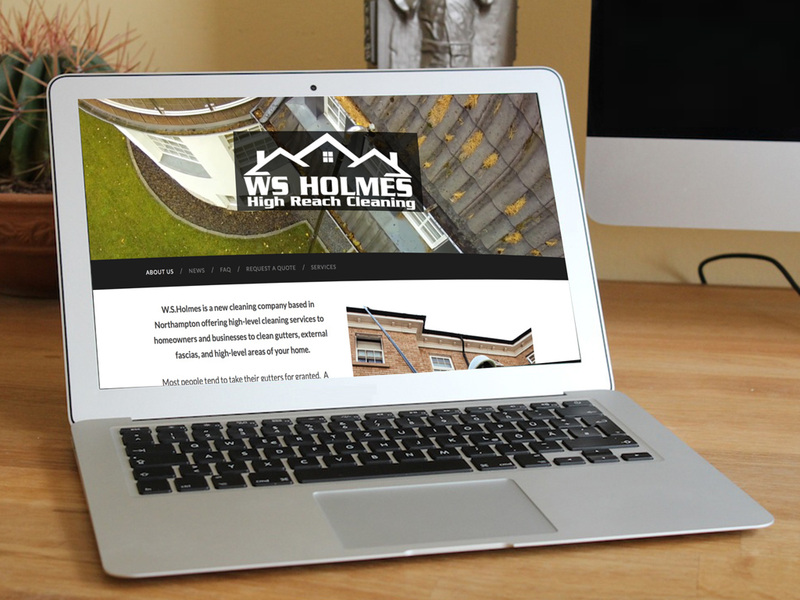 Find out more about WS Holmes by visiting their website here. 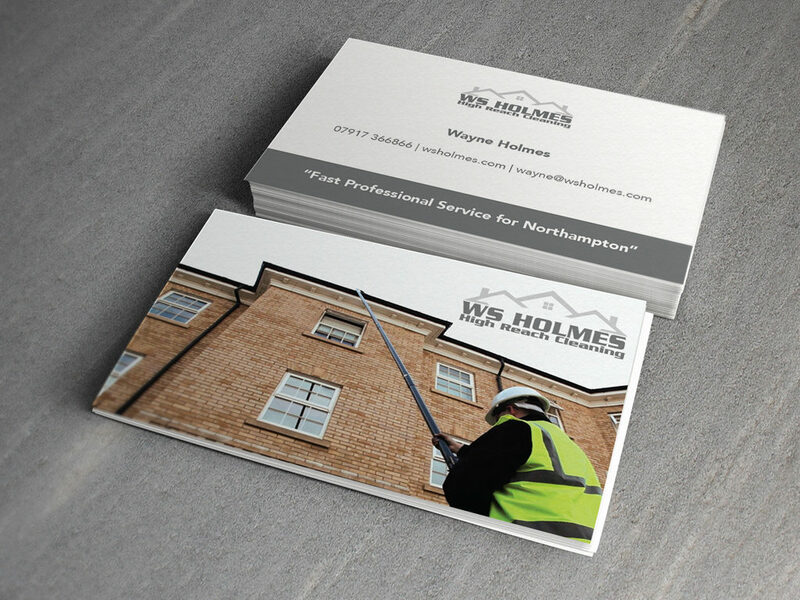 To finish the job we also delivered a nice glossy set of business cards printed on a heavy duty board to give them a really firm, robust finish and Wayne was very happy with how the various projects all turned out. In the meantime, you can find other examples of our work by clicking over here.